Different medications were combined with behavioural therapy to see what was most effective to treat aggression in children with autism. The combination of antipsychotic medication with behavioural therapy required fewer therapy sessions to reduce aggressive behaviour compared to therapy alone or therapy and other medications. There is no standard of treatment for aggressive behaviour in individuals with Autism Spectrum Disorder (ASD). Medications from different classes (i.e. antipsychotics, mood stabilizers, and nonstimulants for treating Attention Deficit Hyperactivity Disorder (ADHD) and/or sleep symptoms) are often prescribed (e.g. risperidone) but we don’t know how effective they are. Another way to treat aggression is to give Intensive Behavioural Intervention (IBI) which, like the medications, has not been thoroughly explored as a specific treatment option for aggression in ASD. This study examined the effectiveness of treating aggressive behaviour in children and youth with ASD using a combination of IBI with different medications. Thirty-two people (average age = 11) ranging from 4-16 years old were selected from a chart review of clinics in the Midwestern United States that provided IBI therapy. To be included, participants had an ASD diagnosis and at least 4 aggressive behaviours per day for at least 1 day a week. All participants received IBI for at least 30 hours per week (with no other behavioural therapy) for a maximum of 500 sessions, lasting approximately 2-2.5 years. The researchers divided the participants into 4 groups based on the medications used: 1) antipsychotics, 2) mood stabilizers, or 3) nonstimulant medications, or 4) no medication. Aggression and adaptive behaviour were rated by therapists and school teachers. The analysis was aimed at finding which group had the most behaviour plan success, defined as no aggressive behaviours and no more than a mild aggressive episode for 5 consecutive sessions. The researchers found that IBI reduced aggressive behaviour after 1 week of treatment and could reach behaviour plan success by itself. Combining IBI with antipsychotic medication reduced the number of sessions required to achieve behavioural plan success – 200 sessions of IBI with antipsychotics was more effective than 400 sessions of IBI alone. Mood stabilizing medication or nonstimulant ADHD/sleep medication did not make a difference compared to IBI alone. 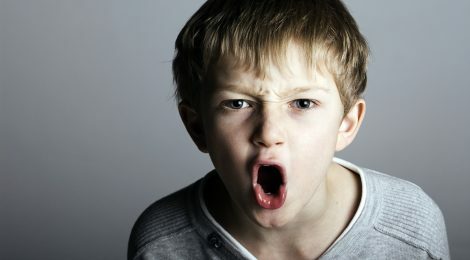 Younger, verbal males with lower levels of aggression and irritability reached behavioural plan goals faster than other participants. The diversity of ASD symptoms and severity between individuals makes it challenging to establish a general treatment regime. This study suggests a subgroup of individuals with ASD – those with aggressive behaviour – may be treated effectively with a regime of combined IBI and antipsychotic medication. Further research is needed to see if these patterns can be used to set up guidelines for clinical practice. Thomas W. Frazier (PhD) is a staff member and research director at the Center for Autism, and the Center for Pediatric and Behavioural Health, The Cleveland Clinic, Ohio. Travis Haycook (M.Ed), Aletta Sinoff (PhD, CCC/SLP), Francine Dimitriou (M.Ed), Julie Knapp (PhD) and Leslie Sinclair (MA, SLP/BCBA) are from the Center for Pediatric and Behavioural Health, The Cleveland Clinic, Ohio. Eric A. Youngstrom (PhD) is from the Department of Psychology and Psychiatry, at the University of North Carolina at Chapel Hill. Frazier, T. W., Youngstrom, E. A., Haycook, T., Sinoff, A., Dimitriou, F., Knapp, J., & Sinclair, L. (2010). Effectiveness of medication combined with intensive behavioural intervention for reducing aggression in youth with Autism Spectrum Disorder. Journal of Child and Adolescent Psychopharmacology, 20(3), 167–177. The Chair is funded by the Canadian Institutes of Health Research in partnership with Autism Speaks Canada, the Canadian Autism Spectrum Disorders Alliance, Health Canada, NeuroDevNet and the Sinneave Family Foundation. Additional support was provided by York University.